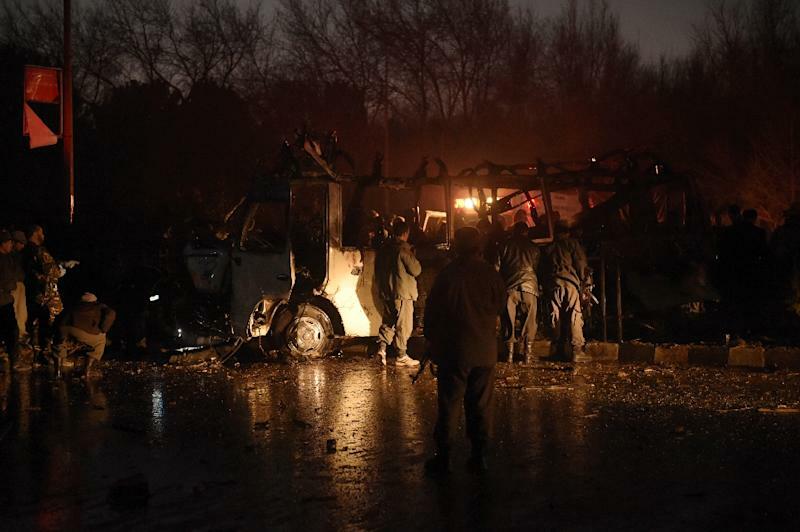 Seven employees of popular Afghan TV channel TOLO were killed Wednesday when a Taliban car bomber rammed into their minibus in Kabul, just months after the militants declared the network a legitimate "military target". 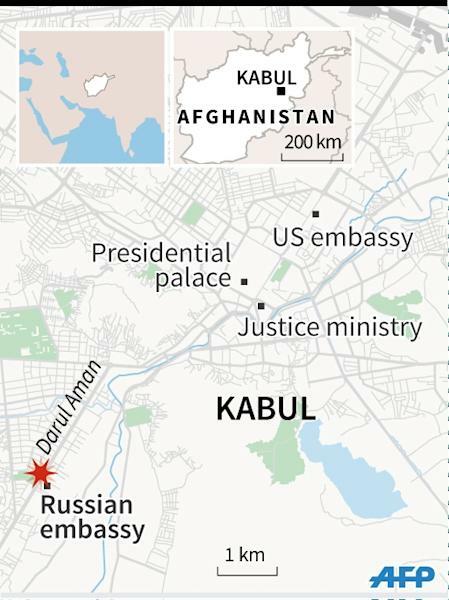 At least 25 other people were wounded in the bombing near the Russian embassy in downtown Kabul, in the first major attack on an Afghan media organisation since the Taliban were ousted from power in 2001. 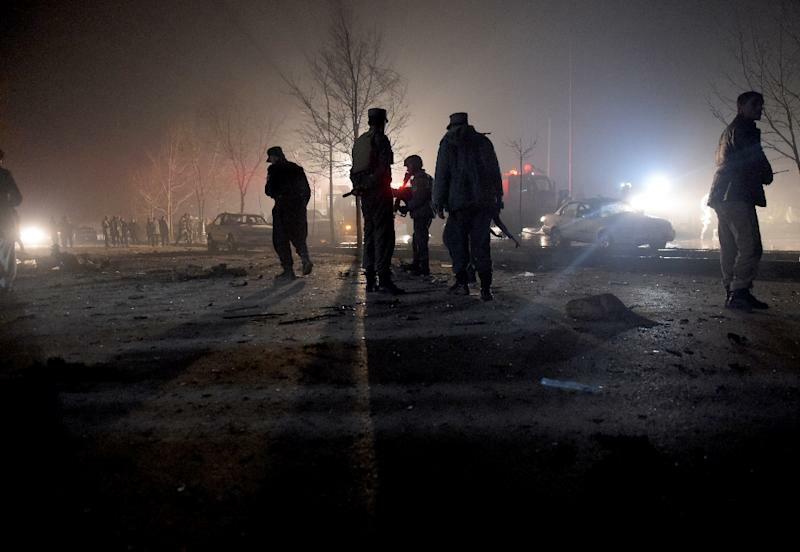 The carnage highlights the Taliban's growing campaign of violence across Afghanistan despite an international push to jumpstart peace talks with the Islamist group. "In the terrorist attack today in... Kabul, we lost seven staff members," TOLO, a privately run news and entertainment station that is often critical of the Taliban, said on Twitter. The bombing left some workers burning inside the vehicle which was taking them home, an employee told AFP, adding that most of those killed were behind-the-scenes staff from the channel's graphics and dubbing departments. The loud explosion sent a plume of smoke rising in the sky, with ambulances and firefighters rushing to the scene which was littered with charred debris. "The enemy of humanity, peace and Islam martyred our colleagues because they were exposing their crimes," TOLO news presenter Fawad Aman said in a live broadcast. "They martyred you to silence us, but they will never achieve this evil goal." The deadly assault spotlights the growing dangers faced by media workers in Afghanistan, as the security situation worsens amid a growing wave of militant attacks. "Strongly condemn the barbaric attack on our brave media staff," Afghan President Ashraf Ghani said on Twitter. "My condolences are with their families. This is the act of coward terrorists." In a statement, the insurgents warned this would not be the last attack on TOLO if the channel does not stop "spreading evil propaganda against the Taliban". The group in October declared TOLO and 1TV, another privately run news channel, as legitimate "military targets". The edict was in response to their reports claiming that Taliban fighters raped women at a female hostel in Kunduz, after the group briefly captured the northern city in late September last year. The Taliban rejected the reports as fabrications, saying they were examples of propaganda by the "satanic networks". "No employee, anchor, office, news team and reporter of these TV channels holds any immunity," the Taliban said at the time. Wednesday's attack comes just two days after a second round of four-country negotiations in Kabul aimed at reviving talks with the Taliban. Delegates from Afghanistan, Pakistan, China and the United States convened in the Afghan capital Monday for a one-day meeting seeking a negotiated end to the 14-year Taliban insurgency. The first round of the so-called "roadmap" talks was held in Islamabad last week in a bid to lay the groundwork for direct dialogue between Kabul and the Islamist group. Taliban representatives were notably absent in both rounds and analysts caution that any substantive talks are still a long way off. Observers say the intensifying insurgency highlights a push by the militants to seize more territory in an attempt to wrangle greater concessions during talks. Independent media outlets, banned by the Taliban during their 1996-2001 rule, have mushroomed in the war-torn nation in recent years and hailed as one of the bright spots in efforts to foster democracy in the country. But despite their rapid growth in the post-Taliban era, they face several challenges that threaten to undo the progress made over the past decade. Human Rights Watch last year warned about growing violence and intimidation against journalists in Afghanistan by Taliban insurgents, warlords and the government.